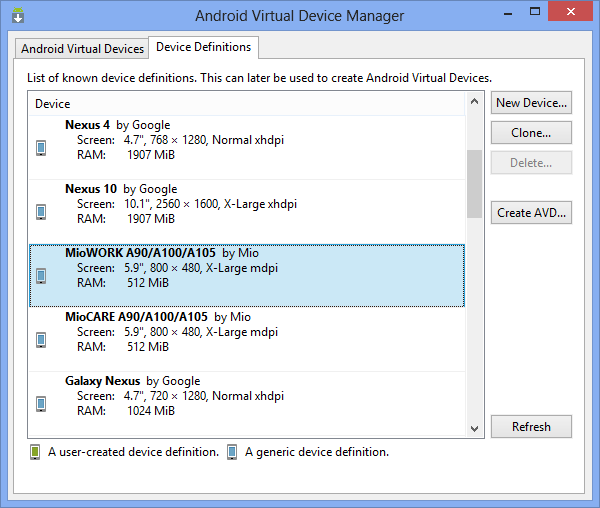 After installing the Add-On SDK you can create Mio hardware specific Android Virtual Devices (AVD). 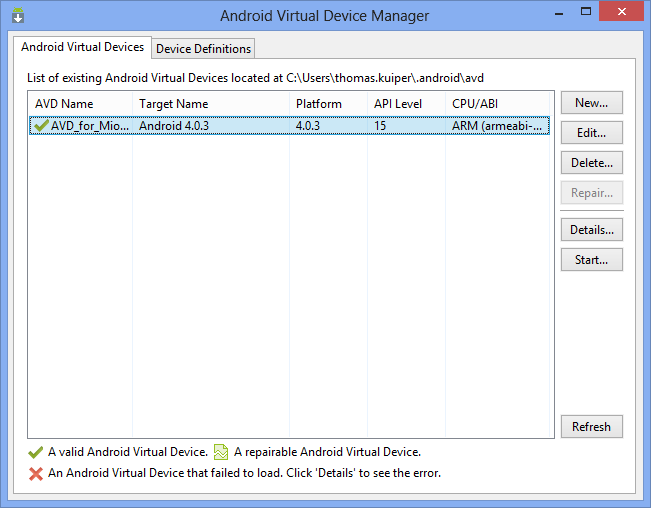 When the device definitions have been installed you can click on Android Virtual Device Manager in the Window Menu of Eclipse. 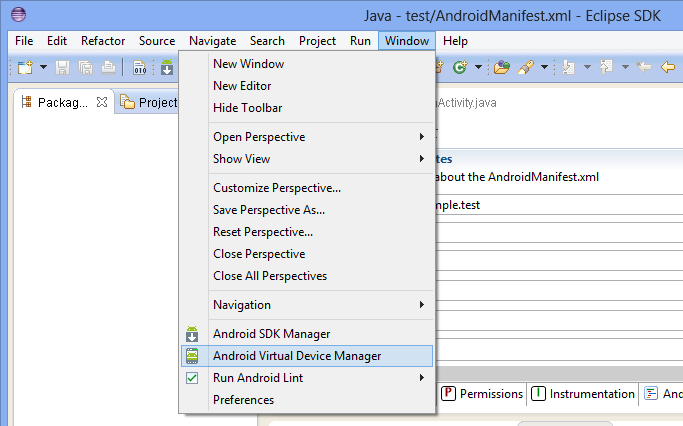 If you are using another IDE then you will be able to find the AVD Manager inside the Android SDK Manager. 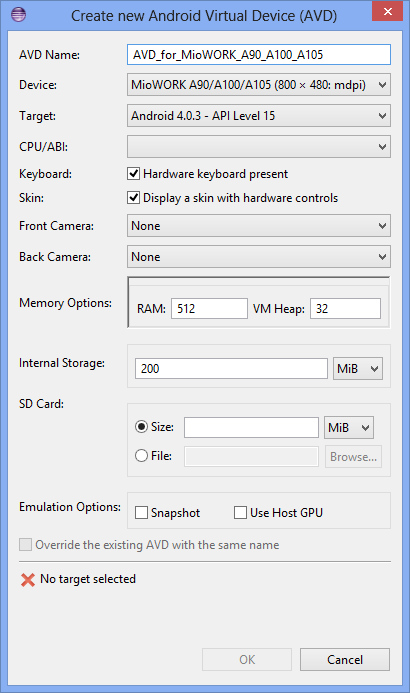 Select the device for which you would like to create the AVD by selecting it at the tab Device Definitions and click on Create AVD. You will be able to select a CPU/ABI. If your apps are going to be native then you should select Intel/x86. Otherwise it is recommended that you select ARM as the CPU (which is the same as in current Mio devices). Once the AVD was created you will be able to find it at the Android Virtual Devices tab. Click on Start to launch the AVD. 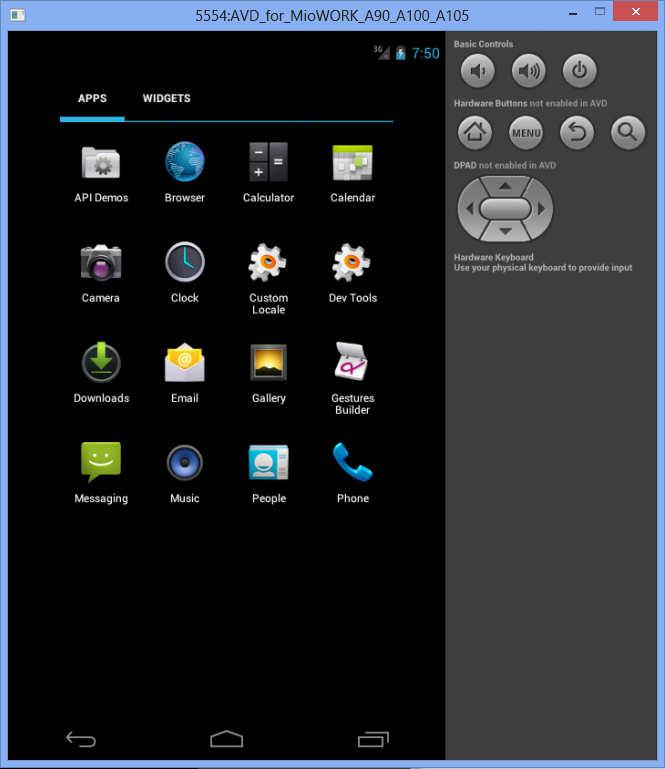 When the emulator was started you will see the familiar Android Home Screen. You can now return to your IDE and run your application on the emulator. © 2013 MiTAC International Corp. All Rights Reserved.